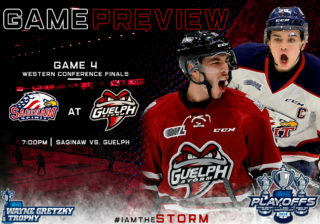 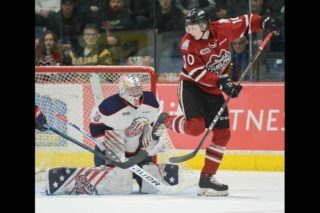 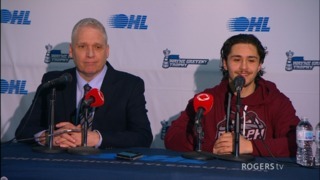 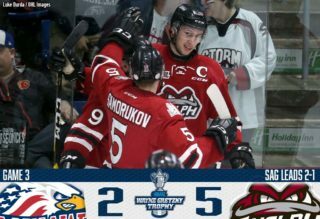 KITCHENER – Games aren’t won and lost on paper, as the Guelph Storm found out Friday night at The Aud. 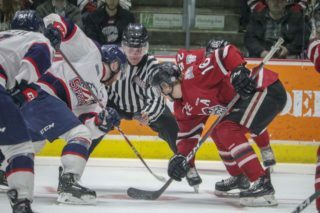 The eighth-place Kitchener Rangers came to work against the fourth place Storm, a squad boosted by a number of recent acquisitions, and downed them 4-3 in overtime. 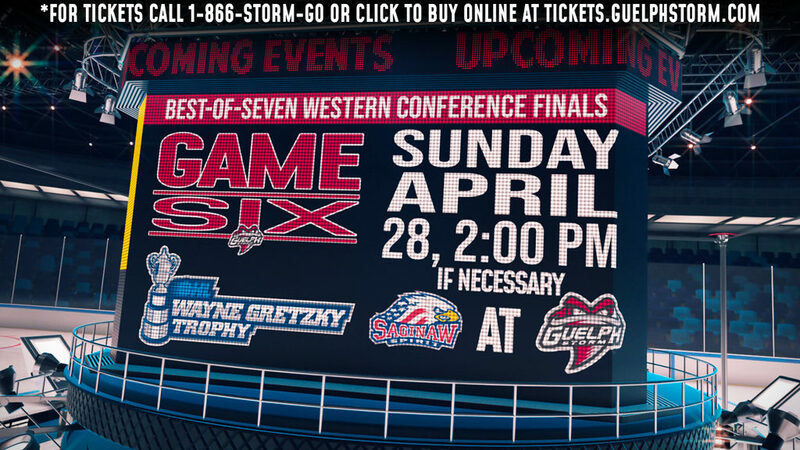 “It’s not going to be easy,” said Storm coach/GM George Burnett.